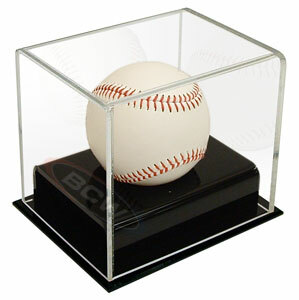 BCW Deluxe Acrylic Baseball Display Case features a black base with a clear cover. BCW acrylic displays contain U.V. 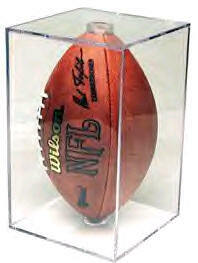 absorbers to help protect your memorabilia from ultraviolet yellowing. 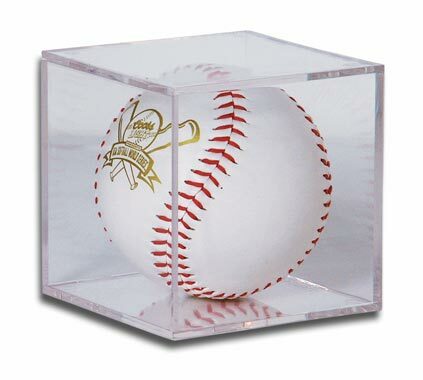 Use this memorabilia holder to protect, store and display your collectible Baseball, NCAA, high school.